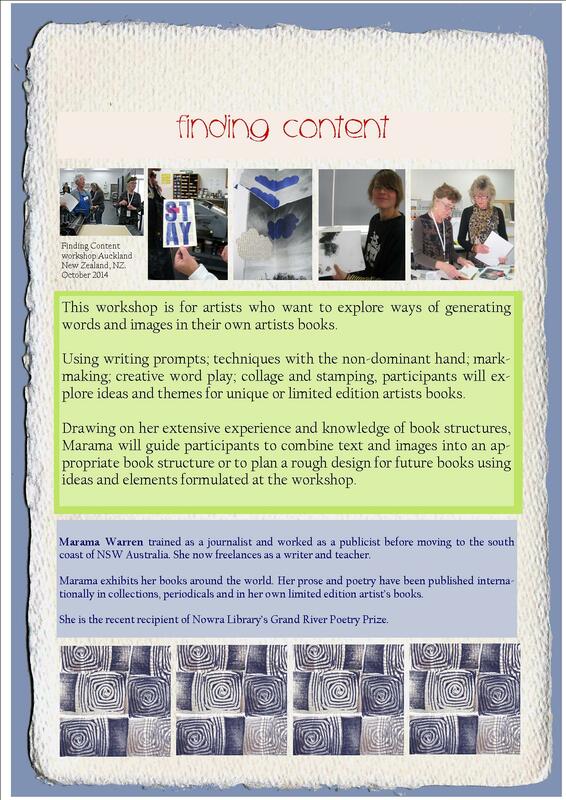 Over the weekend of September 12th and 13th I will be holding a workshop titled ‘Finding Content’ at the request of the Papermakers of Victoria. 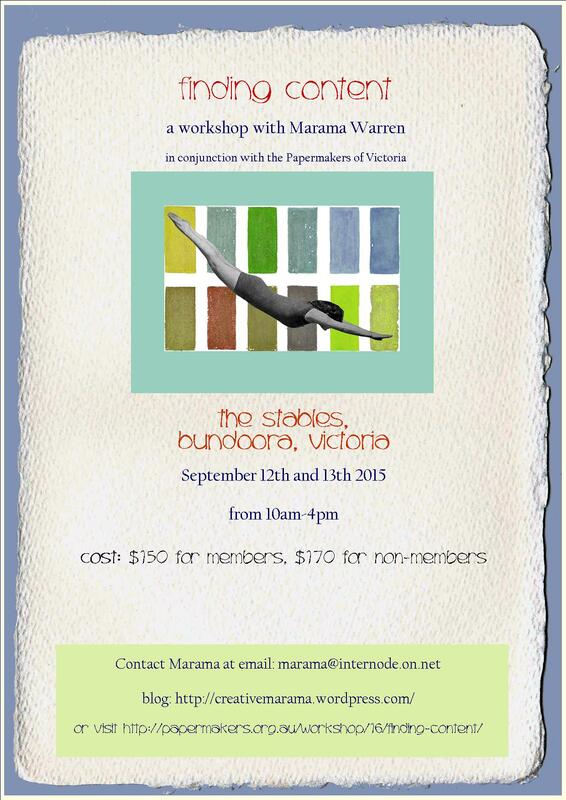 The workshop will be held at The Stables Studio in Bundoora. Non members are also welcome and no experience in making books is necessary. This entry was posted on August 6, 2015 by creativemarama2 in Altered books, Art, Bookmaking, Journals, My Workshops, Poetry, Print making and tagged altered books, Bundoora, finding content, generating ideas, generating ideas. 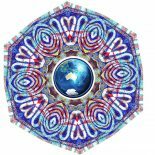 book arts, Papermakers of Victoria, weekend workshop.